Mrs. Rekha Kumari, the Principal of The Lawrence Public School was honoured for her invaluable achievements with S. Radhakrishanan Samman, 2017. Avantika, a group of contemporary artists and intellectuals, accorded her for the remarkable contribution in nation building, social welfare, environment protection, education and promotion of Indian art, culture, dance and music. She was also appreciated for lightening the path and proving to the best guide of the coming generations. 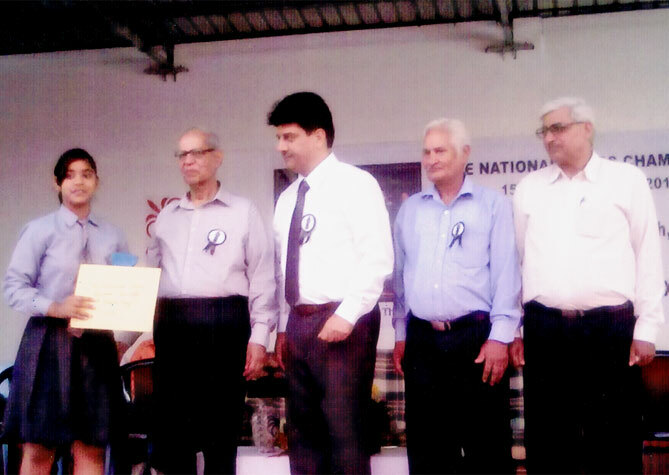 Dr. Rajendra Prasad Award, 2017 was bestowed on Mrs. Rekha Kumari Jhamb, Principal, The Lawrence Public School, Janakpuri, on 5th September, 2017 by International Eminent Educationist Forum of India to acknowledge her meritorious achievements in the field of education, commitment of teaching, Social work and dedication for People’s cause thereby building the nation. The trophy and certificate of Appreciation was presented to her by Prof. (Dr.) M.C. Sharma (Educationist, Sr. Professor of Education and Project Director UNICEF). The function was also attended by the Guest of Honour, Sh. Shabbir Ahmed,(Educationist, Former Additional Director of Education, Govt. NCT of Delhi). Dr. Bhupendra Singh-Former Deputy Director of Education, Govt. NCT of Delhi, Sh. M.P. Budhiraja, Managing Director, Mother Divine Public School, Rohini, New Delhi. It is a matter of immense pride that on the occasion of Teacher’s Day, our Principal, Mrs. Rekha Kumari ; Vice Principal, Mrs. Kiran Dhall ; the Administrative Officer, Mr. Sanjay ; Head Mistress Mrs Vandana Kumari; Mrs. Suman Chopra (PGT-Eng) ; Mrs. AshaBhatt (TGT-Sanskrit) ; Mrs. Meenakshi Tewatia (TGT-Hindi) ; were awarded State Awards by the Hon’ble Chief Minister Mrs. Shiela Dixit for their sincerity, devotion, contribution, commendable performance and meritorious services rendered in education and commitment to the cause. For Inaugural and Closing Ceremonies of Common Wealth Games ‘2010, 14 public schools had been selected. Our school was one among these 14 public schools. 57 students of our school showed their feasts at the Closing Ceremony held on 14th Oct’2010. We feel proud of our name and fame. Mrs. Shiela Dixit, Chief Minister of Delhi had undertaken a constructive step for providing a healthy living standard to Delhites. This scheme involves the administrative background to fulfill the mission of Green Delhi, Clean Delhi. 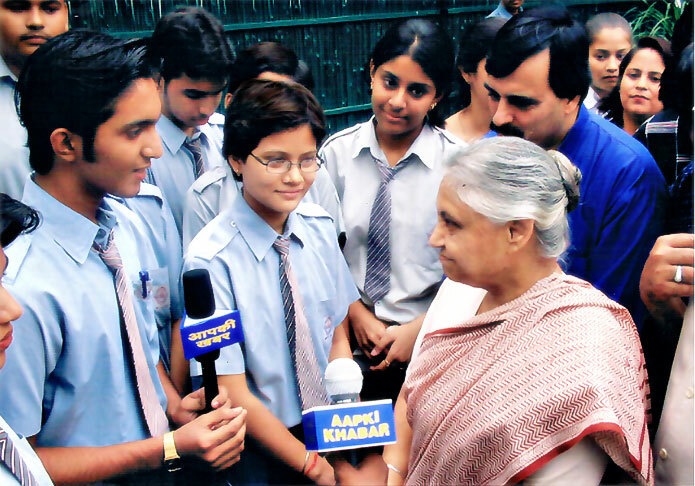 Our students took part in this show and met the Chief Minister at her residence on 29th Sep’2004 with their queries regarding existing problems and promotion of resources for the city dwellers. For the last so many years, our school had achieved many positions for CBSE Chess Competitions at National Level. 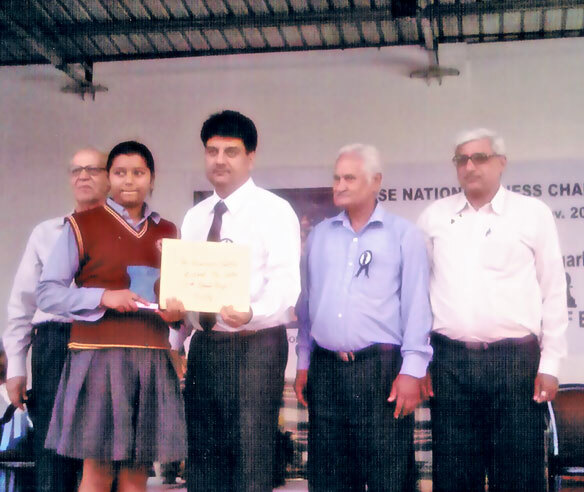 Team of 5 students went to Chennai for the CBSE competitions held between 30th Oct’2007 to 3rd Nov’2007. Our team secured 7th Position among 98 national and international teams. Our team of U-19 (Sr. Girls) went to DAV International School, Amritsar between 12th Nov’2009 to 15th Nov’2009. Our team got 9th Position among 22 teams. Again between 28th Nov’2010 to 2nd Dec’2010 our Chess team went to DAV Model School, Durgapur (West Bengal). This year our team got 4th Position among all the teams at National and International level. In the year 2011, our U-19 (Girls) team secured Second Position in North Zone. The team went for National Championship at DAV Public School, Balabhgarh, Haryana from 15th November’2011 to 18th November’2011. Our team secured Sixth Position among 22 teams all over the country including Gulf countries teams. Our 3 students bagged Board Prizes also. 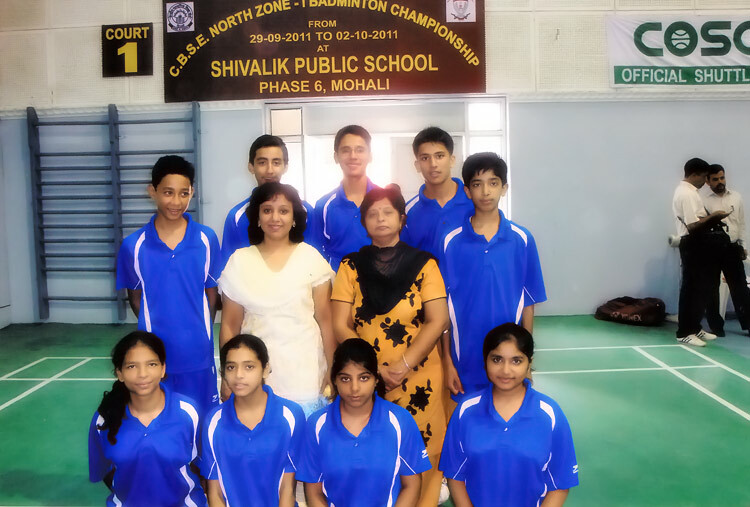 Similarly, for CBSE Badminton Competitions North-Zone, our school secured positions. Our team went to Shivalik Public School, Mohali (Chandigarh) from 20th Sep’09 to 26th Sep’09. Our Sr. Boys team qualified for quarter finals and Jr. Boys team won the quarter final among 56 teams from all over the country. The students of our school participated in Badminton CBSE North Zone held at Shivalik Public School, Mohali, Chandigarh from 28th Sep’2011 to 02nd Oct’2011. Our team of U-16 Boys secured 5th Position among 38 teams.